BRIAN NORTON: Hello and welcome to ATFAQ episode 93. My name is Brian Norton and I’m the host of the show. We are so happy that you’ve tuned in this week with us. We have a great lineup of information to share with you and questions. But before we jump into those, I want to take a moment and go around and introduce the folks who are sitting here with me. Belva? BRIAN NORTON: I’m just watching that solely move itself down to the floor. Belva is our vision team leader. I’m glad she is here with us. The person next to her is Josh Anderson, the popular host of the podcast Assistive Technology Update. You want to say hey to folks? JOSH ANDERSON: Hi everybody. Welcome back. BELVA SMITH: I couldn’t resist. Could you hear me? BRIAN NORTON: Yeah, I could hear you. BELVA SMITH: I couldn’t resist. BRIAN NORTON: I don’t know if you heard, but Belva is breathing heavily into the microphone right now. BELVA SMITH: I’ve got it fixed now. BRIAN NORTON: Perfect. Also if you want to let other folks know about the show, you can do that. You can find us on iTunes. We have a website set up, ATFAQshow.com, we can listen to not only this episode when it releases but also previous episodes. You can find us on stitcher, Google play store, anyplace you might find podcast you will probably find us as well. JOSH ANDERSON: I agree. A lot of times it does work. We actually saw the at ATIA where they are changing the pointer magnification, I guess you could say. If you think of the large pointer on ZoomText which is always something that everybody loves, you can actually turn that on and Windows magnifier. BELVA SMITH: I actually thought, oh my gosh, they are running ZoomText because it had a nice big yellow pointer. It looked like the ZoomText pointer enhancement. But it’s built right into Microsoft as of the update that she was running during ATIA. BRIAN NORTON: So built right into Windows 10? JOSH ANDERSON: I don’t know when that update will come to everyone, but in one of the newer updates, it will have that. I will say that the magnification is not as pixilated. It’s much smoother and actually looks really good. BELVA SMITH: I will agree with our listener. If you can use the Windows magnifier, I would always recommend using that. Obviously you are not going to have the incompatibility with other programs. Also, it’s not going to be a resource hog. The Windows magnifier just kind of runs without you knowing it. BELVA SMITH: It doesn’t require anything special. Always, if you can get by with that could definitely use that. JOSH ANDERSON: Belva, you had to do the same thing with JAWS before, haven’t you? Where you have to turn on narrator for some things to try to see if it’s more compatible? BELVA SMITH: I have a job accommodation right now where we are working on something compatibility issues with JAWS and a particular database. When I go back the next time, we are going to try downloading NVDA to see if it works. Yes, we will probably try whatever we can try. Last resort would be scripting, and I really don’t like to go there unless I absolutely have to. BRIAN NORTON: That’s kind of interesting. Scott mentions, I think he uses ZoomText a little bit and uses magnifier a little bit. That’s kind of true with job accommodations in general. We try some things out, and sometimes it’s a combination solution where, in certain areas, you use this, and in certain areas use a different program. BELVA SMITH: I think the manufacturers know that. I think that’s why they all have a quick you to turn it on and off. Because you needed here and don’t need it there. BRIAN NORTON: That also seems to be a trend for me that I see with assistive technology as well. The built in AT within Windows is not as good as some of the other things that are out there, but it’s getting better. Every time they come out with a new version of Windows, the built-in stuff seems to have more accessibility options and futures. It’s becoming quite useful at this point. I would say, back when it was Windows 7 and before Windows 7, there was a big difference between ZoomText and the Windows magnifier. Now, like Scott mentioned, and Belva mentioned, and Josh you as well, the features are there in a lot of ways for those main features. Of course there are some bells and whistles that ZoomText can provide that can be beneficial. For a lot of places, it works just as well. 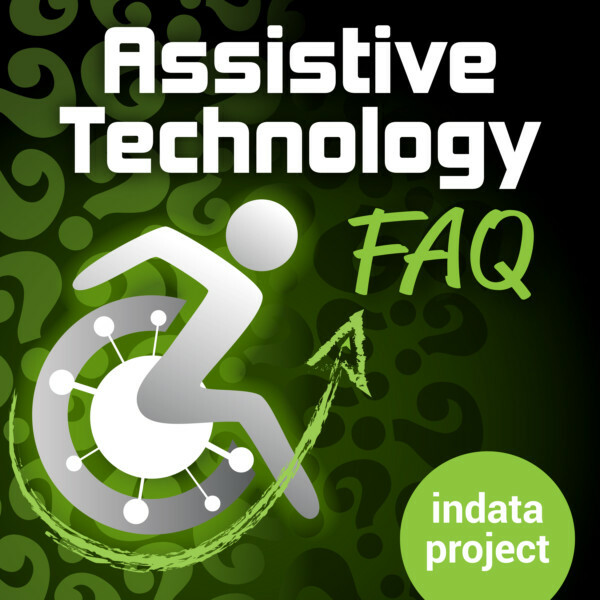 BRIAN NORTON: Our first question for the week — I think last time we recorded, are left podcast, we mentioned that we would be headed to ATIA, which is the Assistive Technology Industry Association. They had an annual conference in Orlando, Florida. What we are going to do is they have a big vendor hall, there’s lots of different manufacturers showing their new products and new things that are there. We just wanted to come back and talk about what we found and what kind of stood out to us. I guess my question is for us here on the panel today, is what stood out to you as innovated and/or creative when it came to the technology that you saw at the conference? Any thoughts on that? BELVA SMITH: I think for me it was a combination of the new hardware as well as the things that are happening, as we were mentioning, with Microsoft and Google. But I think the first thing that caught my attention was the Tap keyboard. BRIAN NORTON: Yeah, that was interesting. BELVA SMITH: I had heard a podcast talking about it about a year ago, and that I never heard anything more about it. I thought it had gone by the wayside, which often happens with some assistive technology. But when I saw it there, I got in the huge line. This was, what, three days of conference? BELVA SMITH: All three days, their table was busy. And they had five of them that they were allowing people to put on and try out. Yeah, if you’ve never seen it, it’s hard to picture of. BRIAN NORTON: You know what they described it to me as? He said put on your brass knuckles. BELVA SMITH: Except you have a thumb. Brass knuckles don’t have it them, do they? JOSH ANDERSON: Belva, I’m worried that you knew that off the top of your head. BELVA SMITH: That’s where I was going. BRIAN NORTON: Not on your pair of brass knuckles. BELVA SMITH: It’s actually rubbery, little rubbery rings the slide onto all five fingers, all the way back, so it’s comfortable. You actually put it on and can forget that you’ve got it on. Once you’ve got it on, you can begin tapping with your finger on any surface. That’s the cool thing. You can use your leg as the service or the chair of your arm, it doesn’t matter. The only drawback that I see is you do have to learn a new way of typing. JOSH ANDERSON: There really is. Review thing, especially if you have to you just one hand, if you had an accident or something like that and you are used to using two, your kind of learning how to type again anyway. One-handed typing is a lot different than two-handed typing. Even in the little time I sat there and played with it, I was starting to remember what the fingers did. A single tap with one finger is your bowels and you use two fingers for this letter and this letter. It definitely had a learning curve, but there are fun games built-in that teach you, and then you can use it for everything on the computer after that. BELVA SMITH: There is a tutorial that you can use to practice the new typing skill that you have. But the cool thing is, like I said, once you put it on, you’re going to forget that you have it on. You can wear comfortably for a workday of six or eight hours. Another drawback that I saw is that there are only two sizes, which is a large — kind of before a bigger man — and then the medium. There is no small. JOSH ANDERSON: So for kids or tiny figures. BELVA SMITH: For a tiny lady or a child, it’s going to be too big for their finger. BRIAN NORTON: It did look like you could adjust them. BELVA SMITH: They are somewhat adjustable. BRIAN NORTON: You might have a lot of fabric or material between your fingers if you have really small hands with the current sizes. Maybe they might fit. What I found difficult about them is if you don’t have — they are a one-handed keyboard. So if you are one-handed, that’s great. It does take quite a bit of dexterity and fine motor control to get the proper reach or fingers to move together. I have trouble with my little finger and the one next to it to move together. Because you only got five fingers, you’ve got to then move to get certain letters or characters or symbols, you move fingers together at the same time. Whenever I need to hit those two fingers together, I had difficulty getting that letter or that future to be able to work for me. I struggled with it a little bit. Be wary, if you have some dexterity or fine motor control issues in your hand, it may or may not work for you. Again, with all those keyboards, I find that because you have to learn a new method of typing, a lot of people steer away from it. They just want to stay with the regular keyboard because it looks like everybody else’s, and you don’t have anything new and interesting that you then have to spend the time to learn. BELVA SMITH: Hopefully we will be having one in our lending library before too much longer. If you live here in Indiana and you would like to see one, keep your eye out on INDATA Project website. I thought she told me at the booth that they were $100. BRIAN NORTON: I don’t think they are all the expensive. BELVA SMITH: But when I looked on the website today, it said $199. I don’t know if maybe they were running a special — although I asked her if she had them to sell, and she said not really. We are going to say it’s under $200. If you’re lucky, it’ll be under 100 or right at $100. It’s a wearable, portable keyboard. BRIAN NORTON: And a one-handed keyboard. JOSH ANDERSON: Brian, I kind of agree with you. Sometimes getting those two fingers to work together would be very hard. It doesn’t require any wrist movement or movement beyond the fingers to be able to control everything. BELVA SMITH: That is the cool thing. Wherever your arm is comfortable, your hand can type. BRIAN NORTON: That’s really cool. One thing I found, I don’t know how many times — we’ve joked in the past about this being frequent he asked questions. Maybe most of the time we are answering one off questions. This is a question we get a lot, and there’s never been a great answer for it. We get the question of, can you tell me what type of mouse I can use on my iPad, or is there a mouse I can use on my iPad? I’ve never been able to find a good answer for that. There isn’t really anything out there. Until I went to the conference, and the thing that stood out to me, there is something called AMAneo assistive mass adapter. I believe it’s in prototype right now, so you may not be able to call out and purchase it right away. It’s A-M-A-N-E-O. It is something that hooks in to the lightning adapter, or you can connect it through Bluetooth to your iPad. It turns any mouse — it can be a trackball, a laser mouse. It turns any mouse into essentially a pointing device on your iPad. You can point and click and move it around and open applications, put the cursor into edit boxes. For me, that’s revolutionary for a lot of folks who have difficulty with touchscreen interfaces, being able to be as accurate as you need to be and have the range of motion to access whatever is on the screen. This will allow you to use an input device rather than mess around with a touchscreen. Or a keyboard, if you don’t have the dexterity or range of motion to be able to use a keyboard. Now you simply need a mouse. That was really cool to me. I had not seen anything that truly made — for mouse access. BELVA SMITH: I know we had that question just a couple of months ago. It was a fresh question. How much was that? BELVA SMITH: The Tap was being interviewed. BRIAN NORTON: Tap was one as well. So a lot of the things we talk about in this section are going to be covered through our tech tips. So if you’re interested, you can find that. If you look up INDATA Project on YouTube, you’ll be able to find that. I thought that was really cool and interesting. Really, it answers a lot of people’s questions that we get. If you’re looking for the company that makes it, CSS Micro Systems is the company that actually makes it. I think it’s important that at this point, but I would hope that it’s going to be released soon. I think is going to the approval process with Apple before they officially release it. I think they are waiting on that. JOSH ANDERSON: Another thing I saw was the SesameEnable. If you’ve ever heard of open sesame — some folks have heard of that. This is actually an android app that you can use to operate your mobile device simply using your head movements. All you have to say is, “Open sesame.” It opens up your device, phone, tablet. Just by moving your head and dwelling, you can click on anything on the phone or tablet just by having it right in front of your face. BRIAN NORTON: Wasn’t there a door opener called open sesame? BELVA SMITH: There was. That’s what I thought he was talking about. BRIAN NORTON: I got confused when I saw them at the conference. I thought that’s a door opener. JOSH ANDERSON: It’s made by the same people, right? Am I wrong with that? I would think so. I don’t know why to folks would use that. Essentially what you do is, when you first open it, it scans your face kind of like a lot of AI does these days and everything using the front facing camera. And it just looks for movement. I don’t believe you have to have a lot of movement for it to pick up on it. At least from the folks I saw doing it. Essentially — Brian, talking about the mouse a minute ago, it put the cursor on your screen. As you move and get into the app you want, you can bring those up. BRIAN NORTON: I believe it is only android. JOSH ANDERSON: It is only android. That’s all it says. I want to say it’s about $20 per month. It does have a monthly service fee. Or I believe that you can get a full kit which comes with either a smart phone or tablet and a two-year license, mounting kit, and some other features for around $1000. I want to say that’s what they said. It depends perk if you had your own smart phone, it would be better to go the other way. A lot of folks already have some kind of mounting kit on their wheelchair. I thought it was pretty cool. I’ve seen a lot of things starting to use the front facing camera for some different eye technology and things like that that you used to have to buy a full system for. BRIAN NORTON: It almost seems like facial recognition — it keyed in on the center of your face based on where your eyes and mouth and other things were. Kind of like smile mouse. I don’t know if you guys have heard of smile a mouse before. Similar to that. I’ll tell you what, I watched the guy play Angry Birds for about 10 minutes. He was extremely accurate with being able to point and click. It had side windows to pull out different mouse button functions. JOSH ANDERSON: It was pretty robust. BRIAN NORTON: It was kind of cool. JOSH ANDERSON: Especially for an app. BELVA SMITH: It’s just an app so you don’t have to wear anything? BRIAN NORTON: Just a forward facing camera that looks at your face and recognizing where you are moving your face. BRIAN NORTON: I think that technology is getting better and better just simply be because the cameras are getting better. They are more high def than ever before. BELVA SMITH: They are better than most cameras. BRIAN NORTON: I remember my first digital camera. It was like a one megapixel. It was old. JOSH ANDERSON: Do you remember the cardboard ones used to be able to buy? The single use? I like those. BRIAN NORTON: SesameEnable is great. That’s a great option. Belva, I know you mentioned to me as another option to add to our library at the INDATA Project was the BraiBook — or bray book — I don’t know how you say it. BRIAN NORTON: It kind of looks like a remote control, the size of a remote control. BRIAN NORTON: It’s three characters. BELVA SMITH: It’s three characters. But I also see that it will read that to you at the same time. So you can hear it at the same time that you are reading it. JOSH ANDERSON: Kind of like the scan pen? BELVA SMITH: Right. With a single charge, it has a five hour battery life to it. I’m pretty sure that at the show they said it was going to be $500. I know that he did tell me that they had a US distributor, but again, when you try to look it up on the Internet, it’s not easy to find. I’m thinking it’s pronounced “Braille Book,” but it’s B-R-A-I-B-O-O-K.
BRIAN NORTON: My question about it was, it’s a book reader? Text reader? It’s not a braille display. BELVA SMITH: It’s not a display. BRIAN NORTON: Because you upload content to it and read from it. You are not connecting it to an external device or doing anything. It’s just reading what is internal to it. Is that right? BELVA SMITH: Right. Once you get really good at it, you can think of it like it’s going to be a really portable way — think about a braille display, just a display. Even the 14 cells, they are still big and bulky. This is in the palm of your hand or in your shirt pocket or your jacket pocket and your writing on the public transit to get home, school, work, whatever. You will be able to read your Braille information. I think that makes it pretty cool, because it’s probably the most accessible — not accessible but on-the-go type braille device that I’ve seen. BRIAN NORTON: That’s really cool. I’ll just mention one other thing that I saw. BrainPort Vision Pro was something I thought was a little interesting. We see a lot of questions or different types of technology coming out to kind of help people who have significant vision loss or profound blindness to be able to help navigate. We are seeing a lot of — not sonar technology but echolocation. If you use a white cane, you are feeling what’s on the ground in front of you and trying to avoid obstacles. But with the echolocation located further up on the cane or on your wrist with the Sonos band, it’s picking up object that are in front of you that aren’t on the ground and that you may bump into if the cane doesn’t quite catch it. It kind of looked like this BrainPort Vision Pro did something unique in that space with that type of technology. It actually allowed you to see with your tongue the. It used a electrotactile thing that you would put into her mouth. BELVA SMITH: They call it a lollipop. Actually had a client that had one of these about four or five years ago when it was still very brand-new. BRIAN NORTON: When they were probably designing and testing it. BELVA SMITH: He was one of the first beta testers that they had. That’s why I was excited to see that they were there, because it says to me that they haven’t given up. I’m sure that they’ve made many improvements. I would say his experience with it was not the greatest spirit but again it was when it was very brand-new. JOSH ANDERSON: they would not let us put it in our mouth and try it, which was a little bit disappointing. But they showed a video of someone walking around. If you think the track at school, you have those bright white lines. Being able to stay in the lines just from being able to tell where they were. I’m sure like with anything, they would be a heck of a learning curve on getting used to using that. Very cool idea. BELVA SMITH: For him, the first thing they did as part of the training was get him to be able to walk down the hall without bumping into any of the walls. He would walk down the halls, and they would introduce turning to the left or the right. It’s all being produced in the mouth. BRIAN NORTON: It’s like vibrations on your tongue. They showed it like if someone was looking at a coffee cup, it actually showed where that vibration would happen. You can feel that on your tongue. It was pretty interesting. I didn’t get a price from them. I’m sure it’s costly. BRIAN NORTON: But I will tell you who is making that. If you go to www.wicab.com to be able to look at more on the BrainPort. BrainPort Vision Pro is what it’s called. JOSH ANDERSON: And sticking with the vision thing, something I saw that was really cool and I went to a whole presentation on it was the CodeJumper, which is made by Microsoft but will be distributed by APH, which is American Printing House. What it is, is it’s for teaching kids who are blind how to code. What they figured out is a lot of software, especially coding software built for younger kids, I think it’s made for kids 7 to 11. I could be getting the years wrong on that. I’m another of those ages and I thought it was pretty fun. BELVA SMITH: I think the reason Microsoft is partnering with APH on this is because they do have a coding camp for sighted children. I think that they decided if we partnering with APH on this, then we could open it up. JOSH ANDERSON: It’s neat, because when you think of coding, you’re putting all these lines, if this happened, then this happens. It’s all in the computer. This is tactile. These are pieces that you plug into each other. They have dials on them so you can change what they do, how long they do it for. And then there is a big part you plug it all into. You hit play, and your code actually goes off. It shows up on the computer as well that’s fully accessible with JAWS, NVDA, narrator. BELVA SMITH: It’s more interactive. JOSH ANDERSON: Yeah, it’s more interactive. And there are different kinds of pieces, so if you need it to repeat or have a pause in different parts. Very cool. I think it’s supposed to be available this summer. BRIAN NORTON: That’s very cool. JOSH ANDERSON: It was really neat. BRIAN NORTON: There seem to be a big buzz about that. I know they had a couple of after our sessions just focus on that particular technology. JOSH ANDERSON: It sounds weird when you say that way. BELVA SMITH: Let’s just say that this is a very long day at this conference. BRIAN NORTON: That’s a question we get all the time. BELVA SMITH: All of our regular listeners know that I am a huge fan of the app. It’s going to be — if not already — let’s say if you are and Android user, go to your Google play store and find out if you can get it. It is going to be available for android devices. JOSH ANDERSON: Very soon they said. It’s been around for a minute, but their accessibility checker that’s built into office 365 is just awesome. I learned a lot. I came back and I’m working on a presentation for something this week. I realized I didn’t build any accessibility into that thing. I had to go back. Not only that, but if you’re using the newer versions, whenever you put a picture in, if there isn’t alt text, it will suggest alt text or say, put this in, and prompt you to do that. JOSH ANDERSON: It’s kind of forcing us to make things more accessible, which if you are someone who is in computers all the time, you might think of. But if it’s just you or I, making a presentation or sending something to someone, you can actually sit there and check it to make sure that is everyone going to be able to read this? BRIAN NORTON: That was a trend that we are seeing as far as a lot of sessions this year were geared towards making accessible content. I guess that’s driven by the federal guidelines. If you receive federal money can you make sure your stuff is accessible. Even in the vendor hall, there were probably five or six organizations that provide some form or another, either software that you can load on your computer, or they do the accessibility checking or will do your content remediation, or PDF remediation, Word documents, PowerPoint, websites, making sure that they are accessible for folks. That’s being driven by federal legislation about making sure the if you receive federal money, your stuff is accessible. That was something that’s a big trend and up-and-coming in the AT world. JOSH ANDERSON: Just think how we started the show today, was talking about how ZoomText and some other things weren’t working with some different software. Wade to come around full circle. BELVA SMITH: Microsoft office 365, I believe — and it might even be in the 2016 — also has accessible templates. When you go to look for templates, if you just put in accessible template, it will pull up all of their templates that have already been tried and tested to be accessible. You can just fill in your content. If you want to know more about Microsoft office accessibility stuff, you can go to support.office.com. It’s amazing what they have done to the operating system, to their office suite, just across the board is amazing. JOSH ANDERSON: Just how much more they are adding all the time, and they are really thinking about that. JOSH ANDERSON: They already have a conference. BELVA SMITH: Google has done all kinds of stuff with their accessibility features now as well. For example, they now have select to speak, which I guess that’s new and awesome. They also now have really good switch access apparently. BRIAN NORTON: They’ve got dictation. JOSH ANDERSON: And they are actually going to have some hearing things coming out where it will work with different Bluetooth hearing aids. I guess they might’ve had a few, but they didn’t have very many. Another one — if I could remember the name of it, I would tell you — essentially you plug your headphones in and you can use the microphone on the to drown out some background noises. They demonstrated it. It’s not out yet. It’s going to come out with the new version of android or one of the new updates with that. They demonstrated it, and you could cut down on the background noise and make it a little bit easier to hear the person a little farther away from you and things like that. Very cool, and the fact that they are doing it means it will get better as time goes. To think if you can do that with your phone and a regular pair of headphones. That’s pretty cool. BELVA SMITH: And with select to speak that they’ve added to their suite, it’s my understanding you can also point your camera, kind of using the seeing AI, but point the camera at the text rather than select it, so if you had a printed piece of paper and you hold your camera to it, it will immediately reader for you as well. Again, if you have more questions about the Google accessibility, you can always go to support.google.com/accessibility, and there are pages and pages of information and lots of new stuff. Even talkback has been approved. BELVA SMITH: It’s my understanding that it has improved even from what it was two years ago. BRIAN NORTON: The other thing that I thought was kind of interesting — and it’s a question we get occasionally. We took a bit of a look at it before the show and have questions ourselves. There is a company called Irie AT, I-R-I-E A-T. I think we may have talked about them before, something called a synaptic smart phone for the visually impaired. That’s kind of templated — there’s kind of an overlay system on the phone to make it easier for folks who are visually impaired to be able to navigate the phone. They had a new smart phone with them this year here it’s called the SmartVision2, and it’s a large — it has a large display. It almost looked like a blackberry, but instead of having all the letters and numbers, it just has your regular keypad. It was what they described as built up from the bottom up phone, but specifically for folks or visually impaired or blind. It has a touchscreen, accepts voice recognition and commands to navigate the phone and go anywhere you want. It has video magnification, lots of other advanced features, so I think the base price is $599 and you can get some more advanced features like OCR and voice assistant GPS and some other kinds of things as well. For me, that was kind of interesting. We are asked a lot about phones for folks who are blind or visually impaired. There aren’t a lot. There’s the iPhone with voiceover, other kinds of things, but there is not one that has been specifically made for someone who is blind or visually impaired. JOSH ANDERSON: You couldn’t find it. BELVA SMITH: We couldn’t find it. I think it’s one of those devices like what we are talking about earlier, it’s been available in other countries, but now just getting to the US. Now they’ve been here with their other products, because we actually have a couple of their tablets. So they have been in the US with their other products. The cool thing about this SmartVision2 that I know from the folks I worked with that they would really like is the fact that it does include the tactile keyboard at the bottom. Some people are just against using a touchscreen to try to dial in number. They really want that tactile feel. Also, it has the tactile square button in the center with two small buttons on the side, which are probably going to be things like select and end call. I’m just guessing. BRIAN NORTON: Makes for easier navigation. BELVA SMITH: Anything that is tactile, they will really like. It’s important to know that once you buy the iPhone, it’s just like buying an iPhone, you are going to pay either $599 for the base one or $899 for the one that has all the bells and whistles. And then you have to be able to take it to your local service provider. So you are either going to take it down to AT&T — anybody but Verizon. BRIAN NORTON: It takes a certain chipset. It only works on GSM enabled phones. So if you have a different chipset — which Verizon, from what I understand, is on a different type of chipset. It won’t work on their system. BELVA SMITH: So then you just take it down to your local service provider that provides the GSM service, and they’ll be able to activate it for you. Of course, you’ll have your monthly service charge, whatever it will be depending on your minutes. BRIAN NORTON: $400. Oh, that’s just my cell phone bill. BELVA SMITH: I agree with Brian. It does look to be interesting. I would like to see it more widely available. I would like to see some of the carriers have one in their store. I’m surprised they haven’t tried to partner up with AT&T to have one available for people to see. JOSH ANDERSON: Or straight talk, something like that. I know a ton of people going to that program. BRIAN NORTON: It reminds me of the jitterbug. BELVA SMITH: Jitterbug is still around. BELVA SMITH: You used to be able to get them a Sears. JOSH ANDERSON: Can you find a Sears? BRIAN NORTON: I thought it was interesting. I had forgotten — it’s been several episodes, probably 30 to 40 episodes. BELVA SMITH: It was a while back. BRIAN NORTON: We had not heard of it or seen it. BELVA SMITH: Maybe he had been someplace where he had heard of it or seen it. That’s what’s nice about us being able to get to this conference once a year, because it does give us the opportunity to see about what’s in the pocket, so to speak. What’s being worked on. JOSH ANDERSON: Speaking about things that are being worked on and not out there, one of the things — and I got to talk to the folks a little bit — was called the Boogaloo Bed, which is a great name in and of itself. BRIAN NORTON: I want a Boogaloo Bed. BELVA SMITH: I want to one too. JOSH ANDERSON: It’s especially fitting after last night was the first night any of us got to sleep in our actual beds. It made me think back, I had a consumer a long time ago, and their daughter had some sensory issues and had problems with getting up in the middle of the night and running around actually hurting herself. Of course, my consumer didn’t get a good nights sleep because she was very worried about that. Those beds are made to help with those issues; it actually has a canopy over it. Of course, they can set it up different ways. A camera and a microphone so you can know what is going on from an app, mood lighting, speakers, you can change the things, vibrations, other sensors, and different things to change the whole sensory environment. I believe it can almost be enclosed so the person cannot get out. So if you have someone with a problem with elopement or anything like that. There is tactile stimulation, safety sensors so if you have someone who suffers from seizures or something like that, you can know right away without having to wait for that showing up on a camera or hearing something on a microphone. You’ll know as soon as that happens. What I thought was neat was you can control it all from a nap. You can just have that going in your room and your child’s room or your parents room. Or somebody you are taking care of, you don’t have to be right there next to them. They can have more independent spirit it says it will work from miles away. You don’t even have to be in the same home. Maybe folks can stay on their own a little bit more and have more independence. Very cool idea. It’s built a lot for individuals with autism, but also folks with seizures or even with elopement issues or even an aging population that might, with dementia or anything like that, it could definitely have some parts that could help them out. BRIAN NORTON: I was just thinking as we both had a chance to chat with this guy cut there is a big movement and technology these days, the IoT, Internet of things, especially amongst folks who use Medicaid dollars to pay for in-home healthcare attendance, whether that’s during the day or in the evening. This is just another option that goes along with that. I don’t know if folks have heard of the tech first initiative in Ohio, but that’s a long folks to spend some of their Medicaid dollars on technology. It’s sort of a technology first initiative. It’s allowing these folks to provide those types of support, those companies that provide those, to be able to use technology to provide in-home monitoring for folks who needed to make sure that they are okay. Kind of a really interesting for during the night. It sounds like you get a lot of feedback from what’s happening and going on and providing some good monitoring of the individual. Would having a live person in the home is an expensive option, this might be a less expensive option and just as reliable and gives you just as much information as before. Definitely unique and interesting. Belva, I don’t know if you got a chance to talk to the folks at humanware about their new Reveal 16 magnifier? BELVA SMITH: I didn’t. We were supposed to — they were supposed to come here and do a demo with us on that. But it wasn’t available yet. Did actually have it? BELVA SMITH: I think the PhD you are speaking of is 15 inches. I can’t remember exactly what the weight on that one is, but it does have the option of being battery-powered. BELVA SMITH: The fact that it’s a tablet, because the PhD is not a tablet. The PhD is just for magnifier. BRIAN NORTON: It’s a monitor and camera. BELVA SMITH: Listening to how you started this conversation, I can remember back when I was still new to the game, I had a student that had to have a CCTV and had to change rooms. She was in a public school. They actually put the CCTV on a cart, and she was expected to take her cart from class to class pick she had a special seat so that she could get to the plug into plug in her CCTV, because back then battery wasn’t an option. BRIAN NORTON: How long has Belva been doing this? BELVA SMITH: Just thinking of going back to that a combination, to all of the portable options that are available now and battery-operated. It’s amazing. JOSH ANDERSON: When I started doing this, which wasn’t that long ago, your choice was a da Vinci or something like that. You still had to plug it in and carry this giant piece of luggage behind you. In the pouring down rain on a college campus, running from class to class carrying her luggage, you only took that two important classes. BELVA SMITH: What was the price on that? BRIAN NORTON: I can’t remember. You told me, but I couldn’t remember. JOSH ANDERSON: I bet it’s more than $100. BELVA SMITH: It is available? BRIAN NORTON: It is definitely more than $100, maybe as much as $3500. JOSH ANDERSON: If I remember correctly, I think the Reveal 16 might be available, but the 16i is not available yet. Or one of them is definitely coming out before the other, and I don’t think the “I” is available; the regular Reveal 16, maybe. BELVA SMITH: I’m just going to say to our listeners, if you are interested, just keep watching our website for the tech tips. They will be coming at some point to do a demo for us with that. We will get some tech tips at that time. Hopefully we will have one in the library eventually. That’s always my hope, is to get one in the library. JOSH ANDERSON: That’s Belva’s casual way of asking for things in front of the audience. BRIAN NORTON: Can’t say no now. BRIAN NORTON: Intelligent personal assistant is there device category. BELVA SMITH: I know, right? And then that person who is receiving that can also then sign back by using the same set up. So everybody will have to have the computer with software and that the Amazon echo. I was floored by the information. I had heard about it I think Wade mentioned it a couple of months back on one of our shows. I thought, no, that’s not happening. It’s really happening. Right now, he’s got a very small vocabulary — do you call sign vocabulary? It’s got a very small sign vocabulary. It was doing it, and I was watching it happen and it was amazing. I can’t believe it. JOSH ANDERSON: I know some folks that have used the show, especially because it has a touchscreen on it so you don’t have to verbally say something. They’ve use it as a videophone. If you have two folks that sign, you can essentially video call them from it and do it that way. That would be great for communicating with folks who don’t sign. Then you could have everything come up. BELVA SMITH: Someone else mentioned if you don’t have the show, you can do the same thing with your Amazon fire Tablet, because your Amazon fire tablet can essentially act just like an Echo show. BELVA SMITH: I know. I can’t wait to see it. BRIAN NORTON: Those are just a few of the things, and we have so much that we saw and were able to experience at ATIA, the assistive technology industry Association conference, this past week. If you are interested in other things we saw, once a week — we talked about this already — we release a tech tip video. Those are 3 to 4 minute videos that we released on our YouTube channel. If you search INDATA Project on YouTube, you’ll be able to see that. We will be releasing one tech tip every week throughout this year. Some of these products that we covered right now will be in those. For new listeners, I do want to make mentioned, this is not the normal format for our show. Usually we take one question at a time, spend about 10 minutes or so trying to answer those questions, and talking about answers for those things. Just because of the unique situation going to the conference, we wanted to take a moment and dig into this really cool technology and interesting stuff that we found at the conference. Bear with us and then we will jump into our normal format next time. BELVA SMITH: This really was answering some, because we have had some of these questions. BRIAN NORTON: It really truly was a lot of questions we’ve had over time. We found some unique solutions for them. Sometimes frequently, right. BRIAN NORTON: We are going to do a wildcard question because that is something we do every week as well. I wildcard question came from Wade. Wade is the VP here at Easter Seals Crossroads and was actively involved in our podcast until recently. He had been talking to his family about some things and wanted to have an opportunity to throw a wildcard our way. This is what he wrote. Jenny and I were working on the kinds of technology we have available to our kids. They are six and seven years old. They’ve been toying around with the idea of not having a family the stop computer, and they think they’ll be fine with the tablets they have for school as well as technology-based recreational activities. That led them to the discussion, do our kids need to learn expert QWERTY keyboarding skills? I contend that they need basic keyboarding skills, but probably live in a time that they may never need to use a keyboard as skillfully as adults do now. I would like to hear your thoughts on that. Meeting typical QWERTY keyboarding skills? BELVA SMITH: Do we need to teach our kids how to write in cursive? BRIAN NORTON: That’s another topic. BELVA SMITH: I’m old school. Josh is probably going to have a different opinion than mine. I feel like kids do need just the basics. If they’ve got the basics, they can probably get by, especially in the future. I do think the QWERTY keyboard will probably become a flip phone at some point. Will be something that if the kid looked at, they’re going to go, what is that? BRIAN NORTON: I think dictation gets to the point where you will be using it more and more. And people are doing that now with their phones. They are going to use dictation most of the time. I would argue that QWERTY keyboarding skills are — why not? BELVA SMITH: You can still do QWERTY keyboard with your tablet, right? You just have a Bluetooth keyboard. BRIAN NORTON: I think he’s talking about using your home row and being able to know where the keys are, producing 65 words per minute. I would think, why not teach your kids that? What is cool to have when they’re producing work at 10 times what the next person is producing work at. Why not use it in conjunction with the voice input and other types of things? I would still teach them QWERTY keyboard skills, even though they might not use it that much. BELVA SMITH: I think a tablet is a complement to a computer. You still need a computer. I just feel that way. BRIAN NORTON: I think he’s thinking down the road. Should tablets — tablets are maybe going to take away the computer as it stands right now. I don’t know. JOSH ANDERSON: Let’s see, the biggest growing jobs are computer science, coding, those kinds of things. You don’t do those from a tablet. You do those from a computer using a keyboard. You can’t dictate them. You can’t do that. It Belva and I are both up for a job, and she knows how to touch type and do 100 words per minute and I can hunt and peck or type a text with my two thumbs pretty quickly, I’m not even getting considered for that job. I don’t know why you wouldn’t take any opportunity for your kids to have a leg up and more help. The other thing is, think about carpal tunnel and all those repetitive injuries. You are just using her thumb for a lot of input. JOSH ANDERSON: I don’t know what it’s called. BELVA SMITH: It’s a real thing. JOSH ANDERSON: It’s got to be. We hear about kids all the time with neck, shoulder, and upper back injuries by the time they are 13 years old just by leaning over a phone or a tablet. I would say, again, give kids — they are never going to change the QWERTY keyboard. They are not going to change word letters are anything like that. I would just say, just because you don’t know what kind of job they are going to have in the future. If it involves any kind of computer work, it’s important to be able to do it. BRIAN NORTON: A rabbit hole. BELVA SMITH: Isn’t it interesting that Bill Gates and Steve Jobs both didn’t want their kids to have tablets? Isn’t that interesting? BRIAN NORTON: I didn’t realize that. JOSH ANDERSON: I didn’t even know that. BELVA SMITH: It’s a fact. Here I wanted my two-year-old granddaughter to have her iPad. She’s really good at it. BRIAN NORTON: And a phone for Christmas. BELVA SMITH: She’s really good at it by the way. She knows the difference between Siri and Alexa. She know who goes with what. I think it is important to give them every opportunity that you can with any kind of technology, because technology is not going away, obviously. JOSH ANDERSON: For sure. I think computers, tablets, those kinds of things are going to be here for quite a while. I don’t see any of those going completely away. Cell phones will change.I think in 10 to 15 years, a cell phone will look completely and totally different. BELVA SMITH: They’ve got foldable cell phones now. BRIAN NORTON: I saw that. JOSH ANDERSON: I wouldn’t even be surprised if we got to the point where not everyone had one anymore. Some people will not want to be attached all the time. BELVA SMITH: I think the phone will end up being on our wrist. JOSH ANDERSON: I do know after being at ATIA, yesterday I missed 14 text messages and six calls because I left my phone away from me as humanly possible because I do not need it. BELVA SMITH: Let’s tell Wade that yes, they should keep the computer and they should teach them QWERTY keyboarding. That’s what we say. JOSH ANDERSON: At least the keyboarding. Maybe if it’s just a Bluetooth keyboard for the tablet or something like that. BRIAN NORTON: I would love to hear from our listeners as well. What are your thoughts on that? QWERTY keyboarding skills, are they important, are they not? Should kids be learning that as a basic computer access method? If you would, I would love to hear back from you guys pick you can send us questions by calling our listener line at 317-721-7124. Or send us a tweet with the hashtag ATFAQ. Or email us at tech@eastersealscrossroads.org. Was at your questions, without your feedback, we don’t have a show, so be a part of it and we would love to hear from you. With regard to the technology we covered today, if you’ve got questions about the specific things we covered, maybe there is a feature that you would like to know if it has or whatnot, just sent us it in those ways.